In 1981, Clearwater, Florida had its record temperature low of 19 degrees F. It isn’t often that the temperatures get this low – but you don’t want to be caught unprepared if when they do! 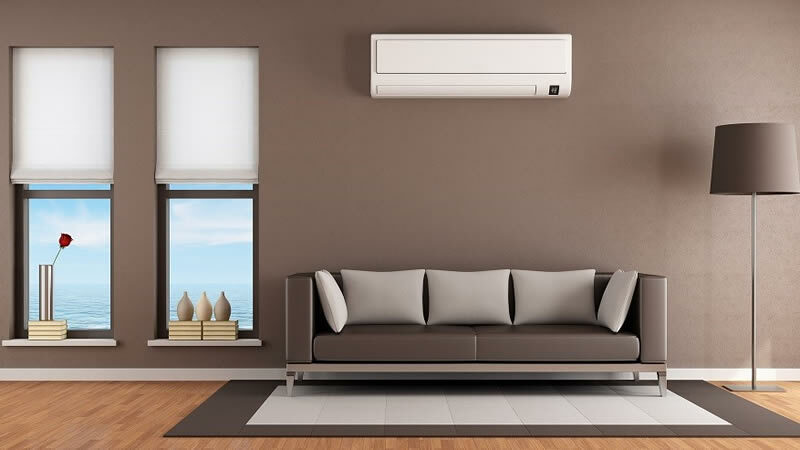 The team of heating and cooling experts at Clearwater Breeze Air Conditioning can help you make sure you have a warm, comfortable winter with our reliable furnace and heating services. The most common method of heating homes in the United States is gas-fueled forced air with a furnace. The way that these systems work is by pulling the cold air out of your home. The cold air is put through a heated box of metal coils called a heat exchanger. The coils heat the air and a fan blows the hot air into your home through a system of ducts. Furnaces are controlled by a thermostat which triggers the HVAC system to turn on when a temperature low is reached, and turn off when a temperature high is achieved. This means that your home’s temperature is never the exact same temperature: it cycles between the highs and lows set by the thermostat. There are three main types of furnace heating systems. They all work on the same general principle of heating cold air, but they differ in how they cycle on and off. •	Single Stage: These HVAC systems only have one temperature setting – high. This means they aren’t very efficient because you don’t have much control over the temperature cycle of your home. •	Two Stage: These furnaces have two temperature settings – high and low. This makes them more efficient than a single stage furnace. They also create more comfortable settings in your home because there isn’t as much temperature fluctuation between when the furnace turns on and off. •	Modulating: Modulating furnaces have heat settings which can be adjusted according to the actual temperature of your home. This means you don’t have to wait until a temperature low is reached for the furnace to kick in or for a temperature high before it shuts off. In theory, this means that modulating furnaces can achieve a consistent temperature in your home. They are the most efficient option when installed properly. At Clearwater Breeze, we take a comprehensive approach to heating services to make sure that your home is always comfortable while also achieving maximum efficiency. We never blindly recommend furnaces without first taking into consideration your real-life heating needs. The first step of expert furnace installation is to design the system properly. This might mean connecting a furnace to an existing duct system, upgrading or adapting an existing duct system, or building a duct system from scratch. The importance of good heating design should not be underestimated. Poor planning can lead to huge amounts of heat loss, meaning you will pay much more than necessary for heating costs. We avoid heat loss and use good practices for efficiency, such as by creating “energy zones,” insulating ducts, using the best sealing methods, and by taking careful energy demand calculations. Regular furnace maintenance should be considered an investment. Not only can it prevent breakdowns and costly repairs, but it can also improve the quality of your indoor air and save you money on your heating bills. Furnaces take in cold air from your home, use coils to heat it, and then blow the heated air back into your home. In the process, the furnace system takes in a lot of dust and air-borne particles including allergens and pathogens. This creates a sticky residue on furnace parts which, over time, can lead to failure. The furnace filter is there to trap some of this dust and debris, but it must be changed regularly. In addition to changing furnace filters, furnaces also must be checked for leaks, worn parts, and other issues. Even minor problems with your furnace, like a small crack in ductwork, can lead to lower efficiency and much higher heating bills. In some cases, furnace problems can be potentially deadly – like if carbon monoxide leaks into your home! It is recommended that you have your furnace inspected once a year before the heating season begins. HVAC furnace systems may be the most popular type of heating in the US, but they aren’t always the best choice for homes – especially in warmer climates like Florida. We believe in offering choice and can help with a variety of home and business heating systems, including tying systems into solar power. We specialize in energy-saving solutions for heating so you can help the environment while keeping utility bill costs low. Our experts will help you navigate through options, such as retrofitting existing systems, making furnace upgrades, designing a “heat zoning” system in your home based on your use, and complimentary heating methods like space heaters and radiant heating in bathrooms. •	All Major Makes and Models of Furnace Systems: We know it isn’t enough to offer one type of furnace system! We are committed to choice and can service and install major makes and models of furnace systems. •	Energy-Saving Solutions: We specialize in energy-saving solutions for heating and cooling. We assess your real heating needs and come up with custom designs to meet your needs and budget. We provide free estimates for heating services in Clearwater. Contact us today to learn more.